Erkut Yilmaz (pictured above right) raises enough to put Jim Collopy (pictured above left) all in preflop, and Collopy calls all in for 400,000. Yilmaz then says, “I didn’t look at my cards yet.” The two players then flip over their cards. Collopy is eliminated in second place, good for $200,780, and that makes Yilmaz the WPT Rolling Thunder champion. Yilmaz takes home the top prize of $303,920, which includes a $15,000 seat in the Baccarat Crystal WPT Tournament of Champions. 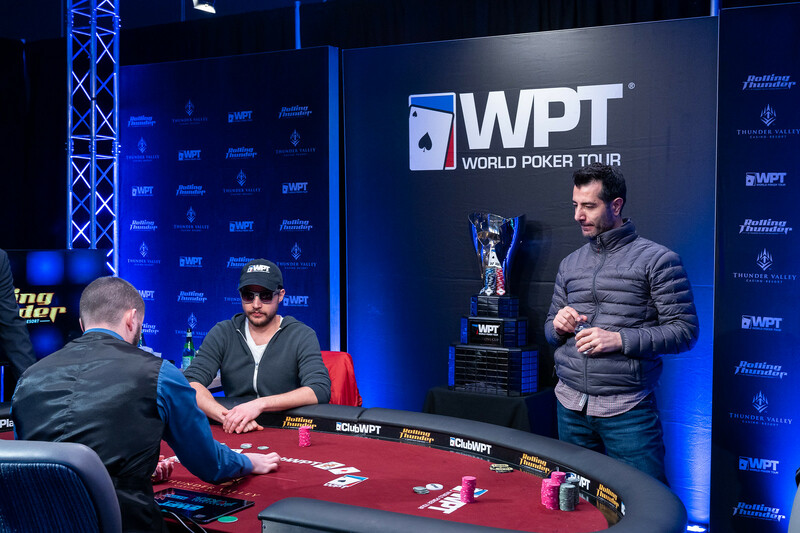 This is also the second WPT title for Yilmaz this season, who won his first WPT title at the WPT Borgata Poker Open back in September 2018. Yilmaz is now the leader in the Hublot WPT Player of the Year race with 2,300 points.